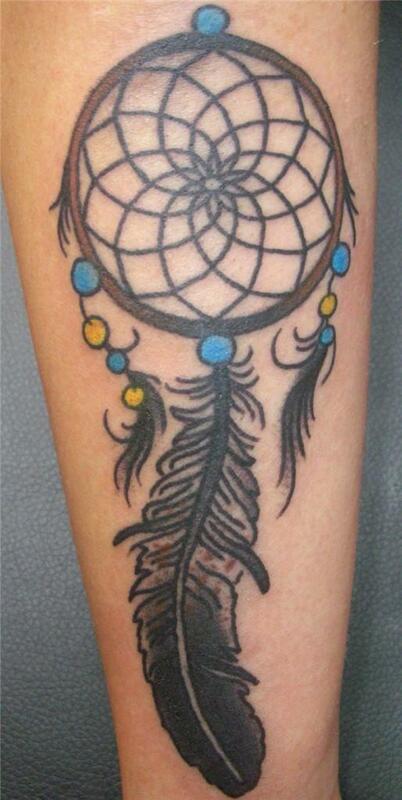 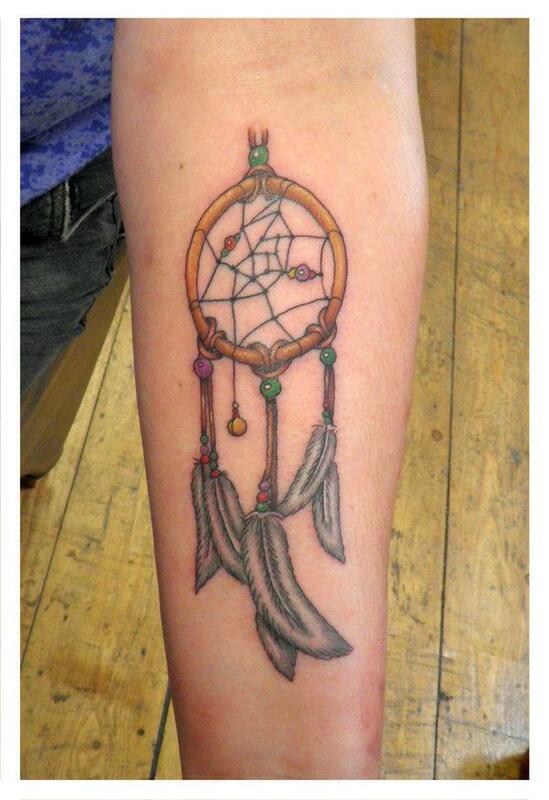 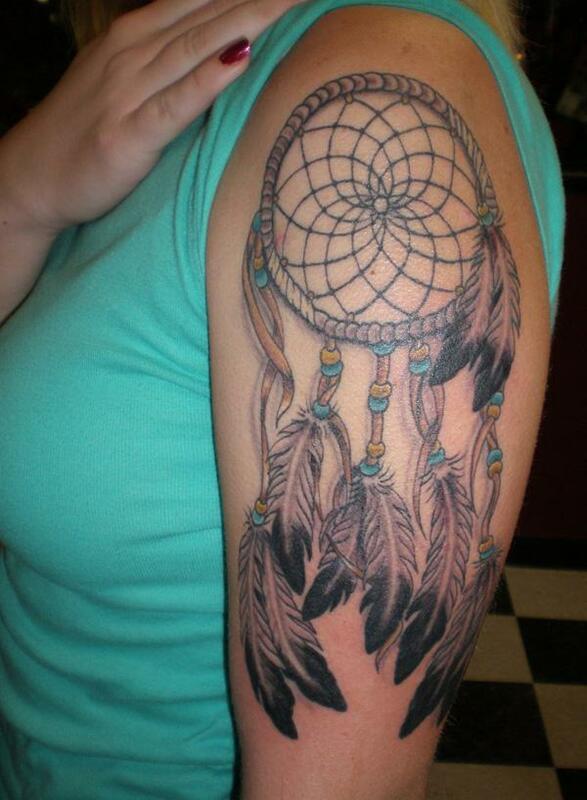 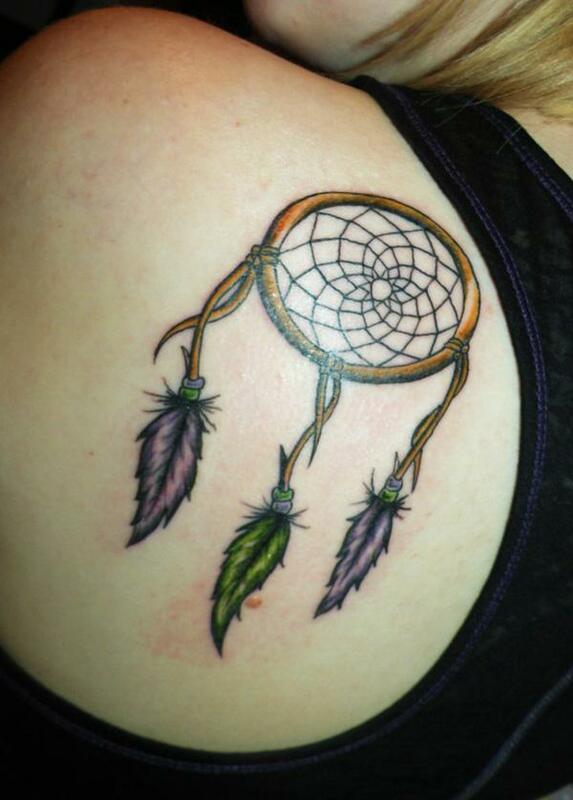 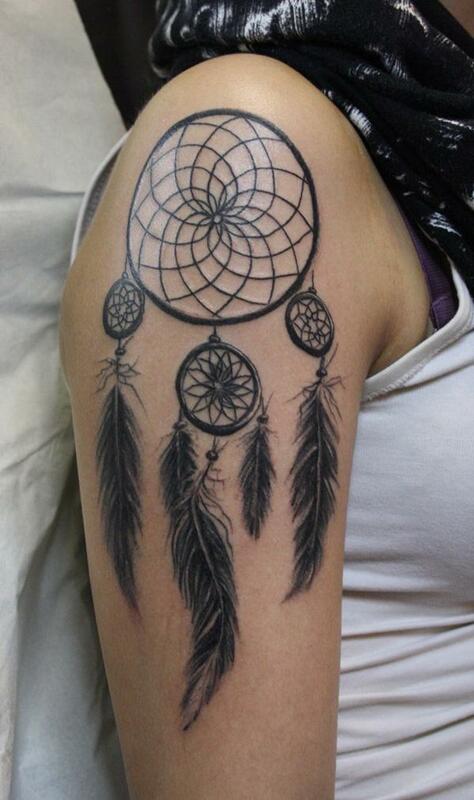 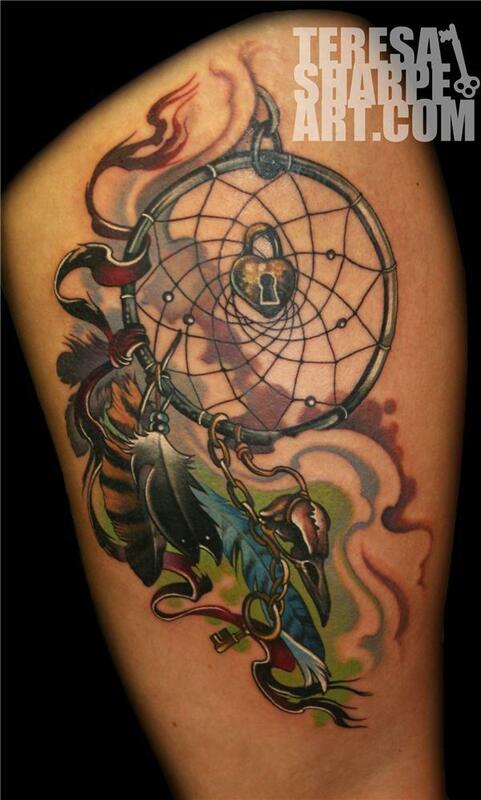 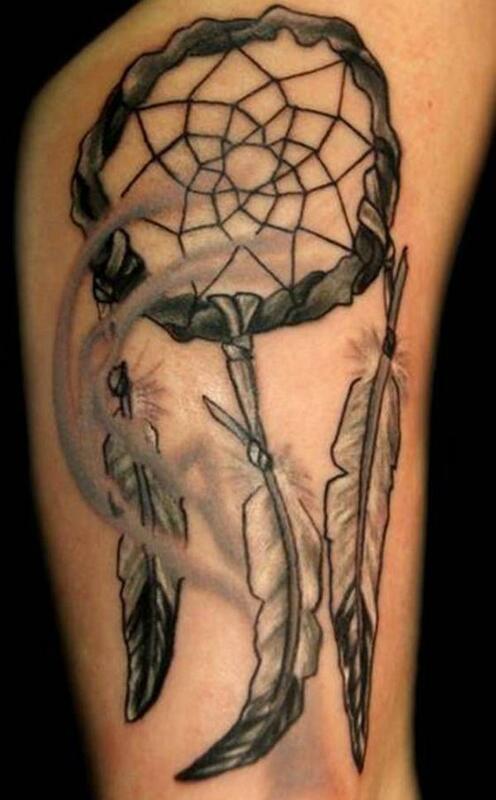 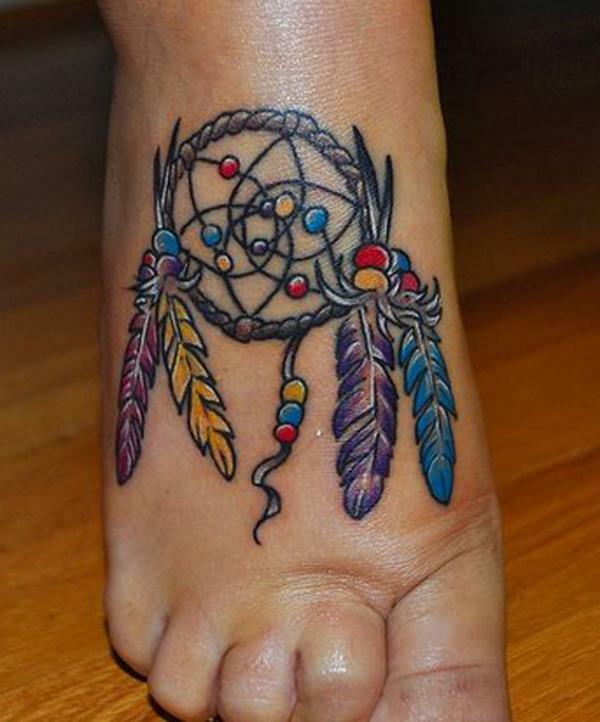 A dreamcatcher Tattoo is a special form of feather tattoo and has strong links to American native culture. 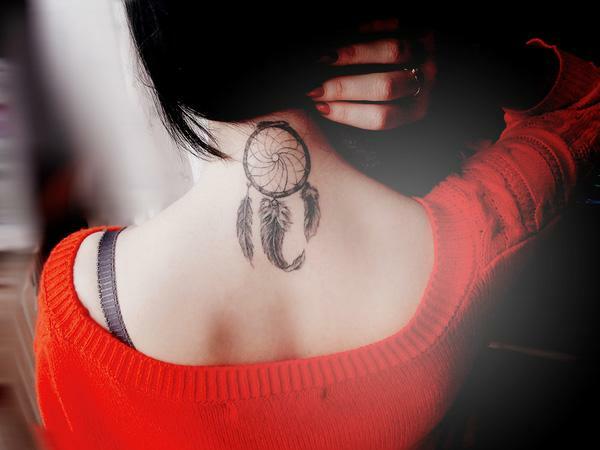 It is also a popular tattoo design idea for women for its symbolic meaning or perhaps icon of fashion. 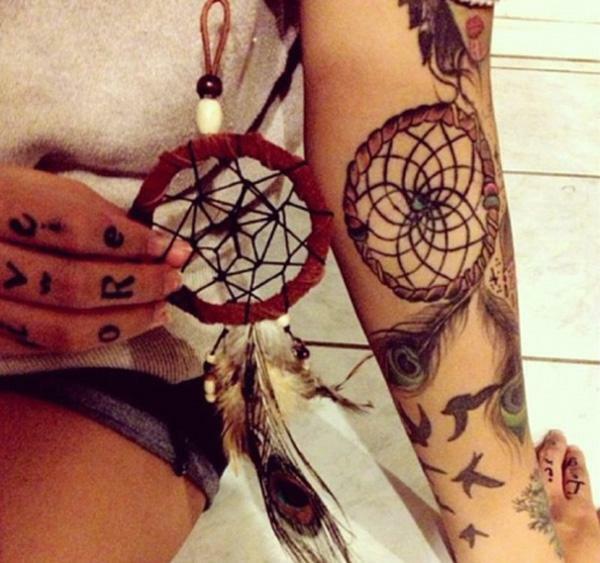 A dreamcatcher, is a hoop containing a web or net, decorated with feathers and beads, which is believed to bring good dreams to its owner. 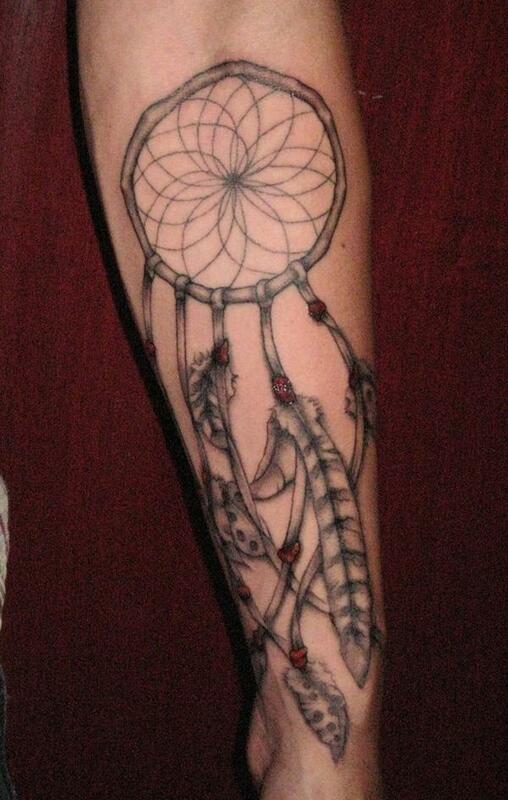 Good dreams are allowed to go through the hole in the web and bad dreams are caught and trapped in the web. 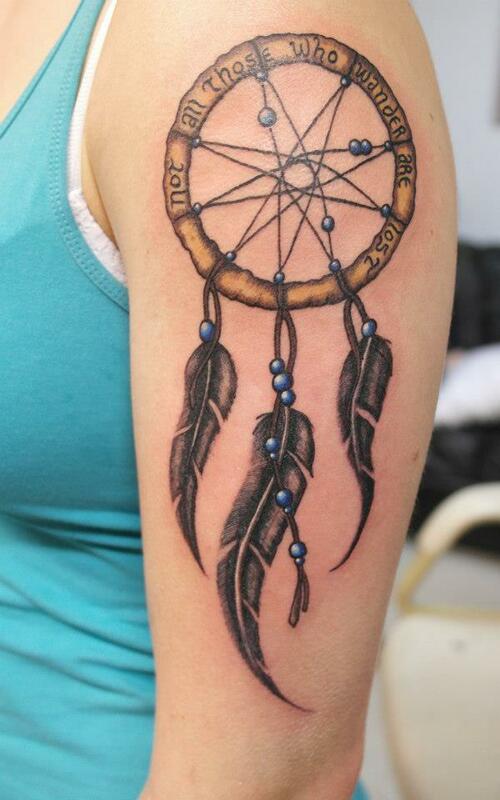 All of the decorations and materials used to decorate them, have a special meaning. 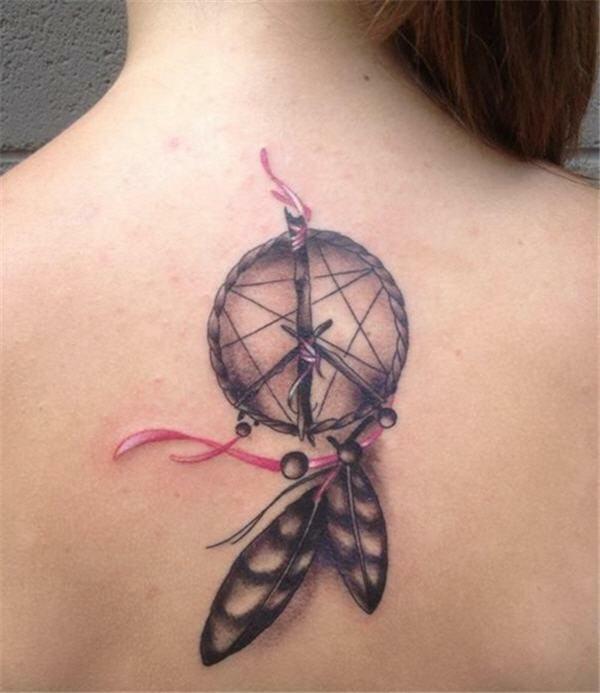 Beads – A single bead in the middle may represent the spider that is on the web. 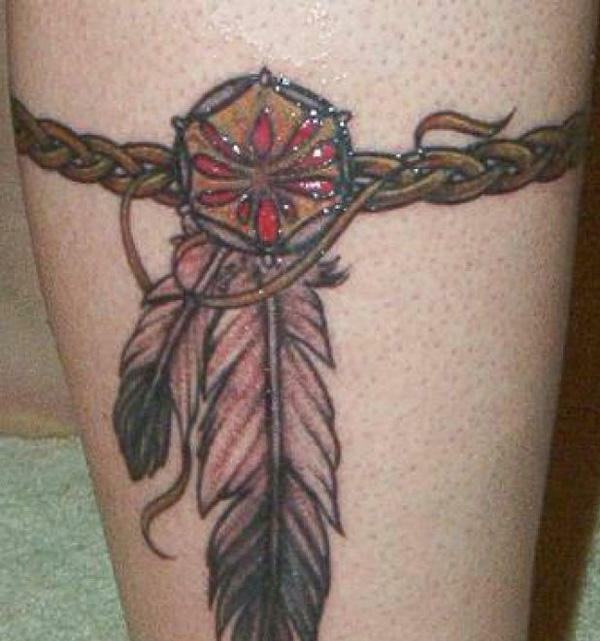 Many beads beads can represent good dreams that trapped during the night. 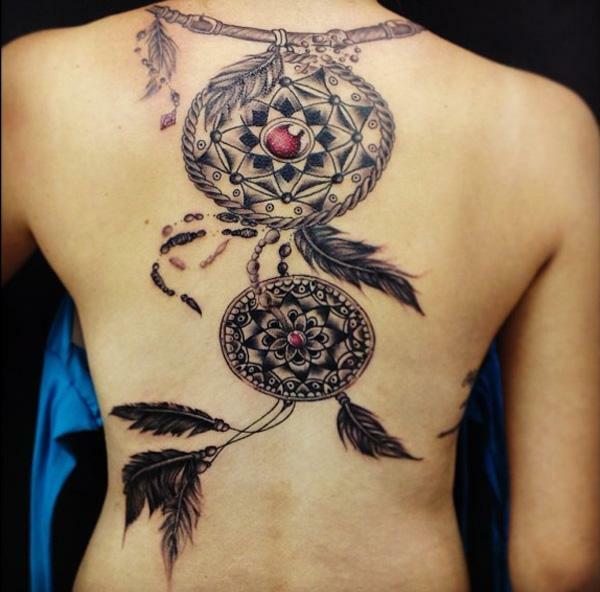 Hoop – The hoop served primarily as a frame for the web, but some believe it represents the circle of life. 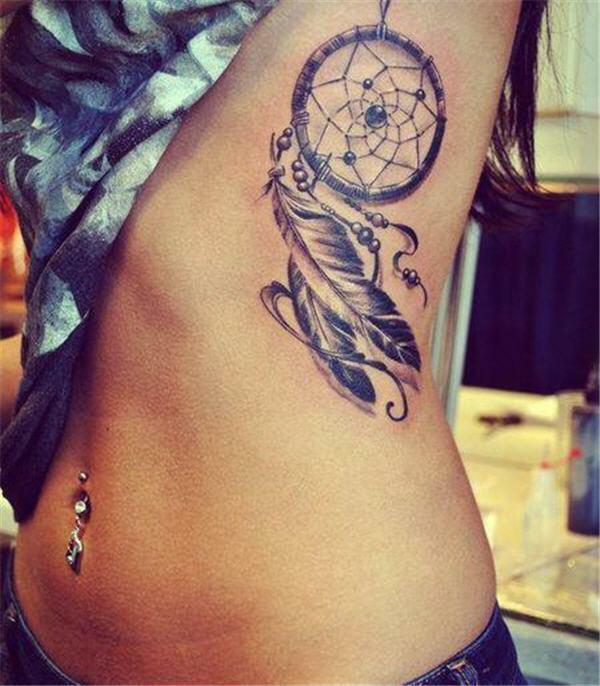 feather – A feather represents a symbol of breath or air which is attached so it hangs from the center of the ring. 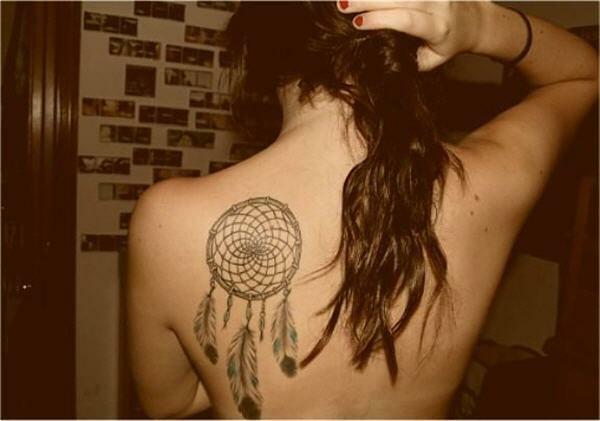 Web – The web is to catch bad dreams and keep them from entering the dreamer’s head. 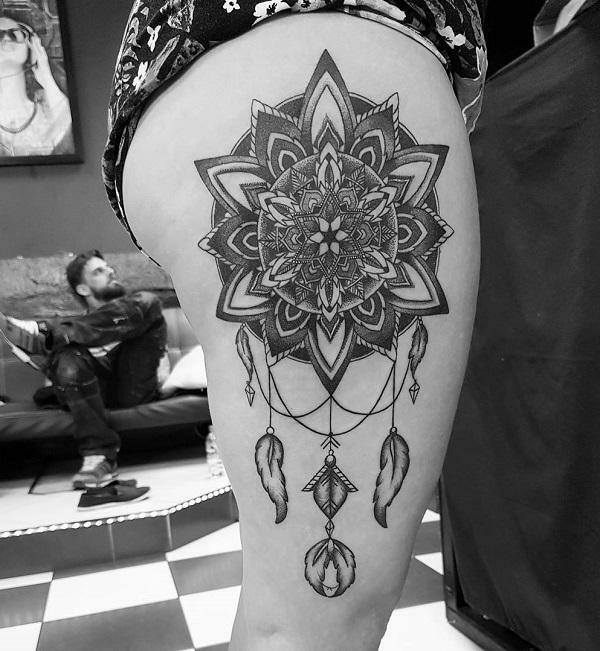 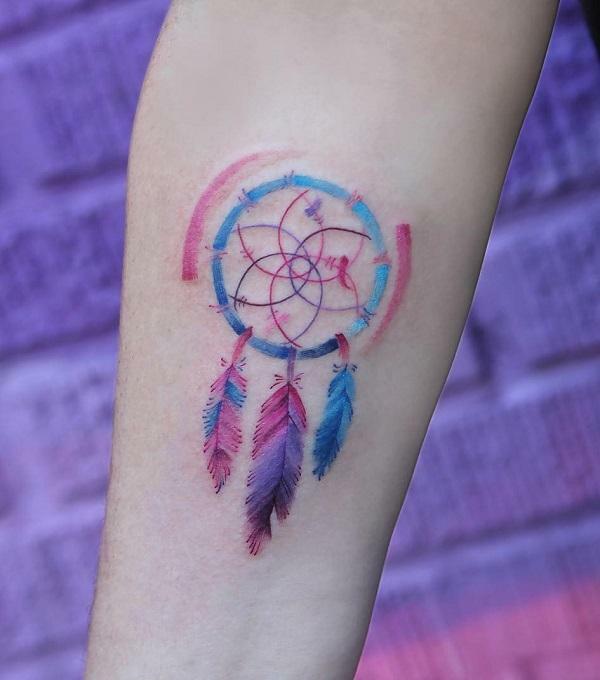 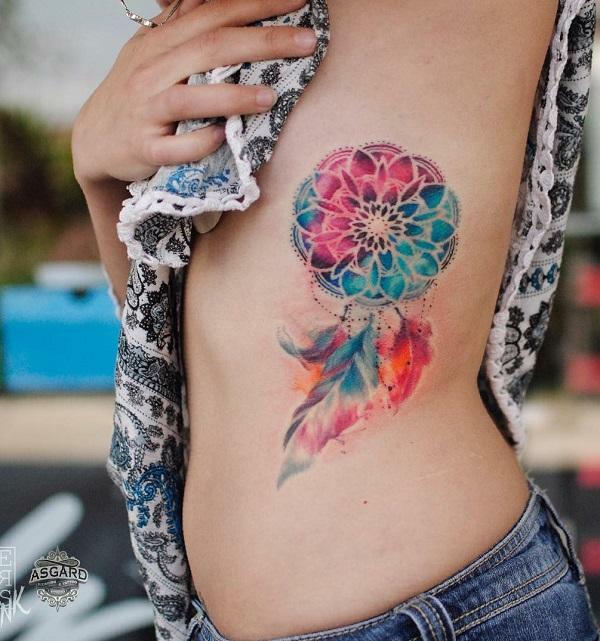 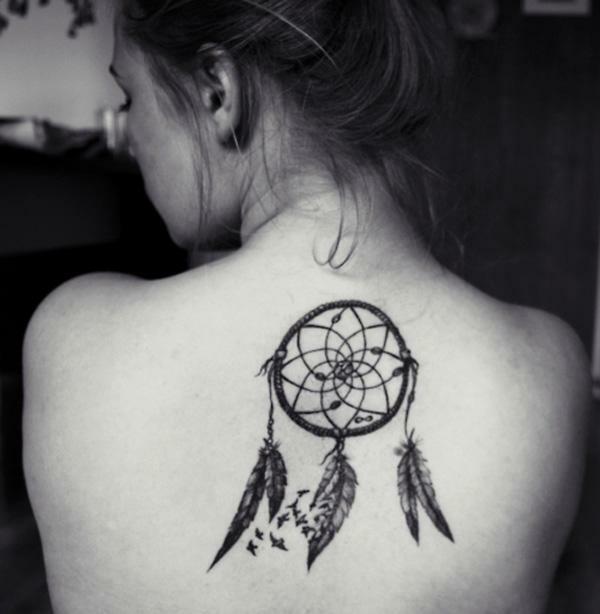 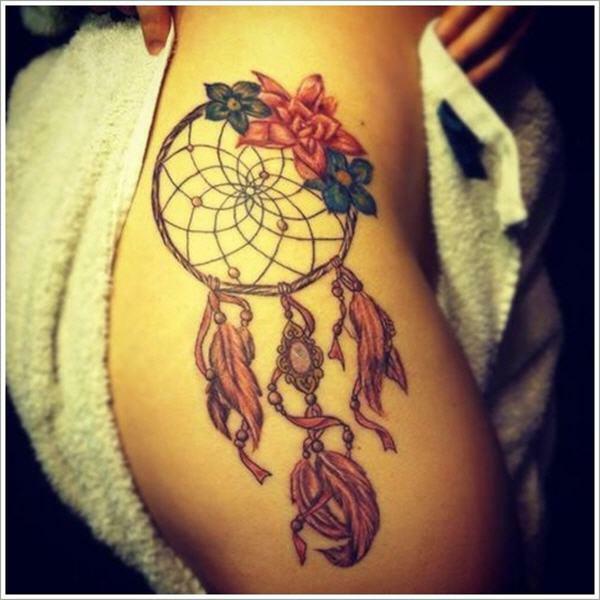 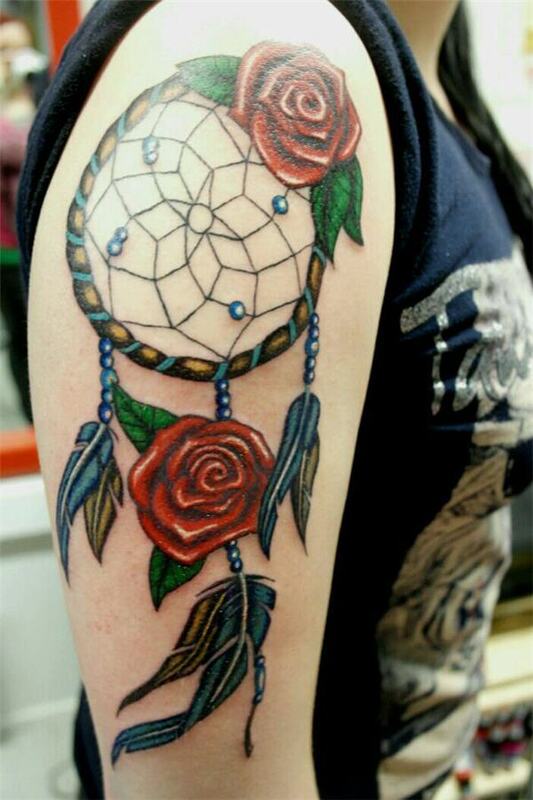 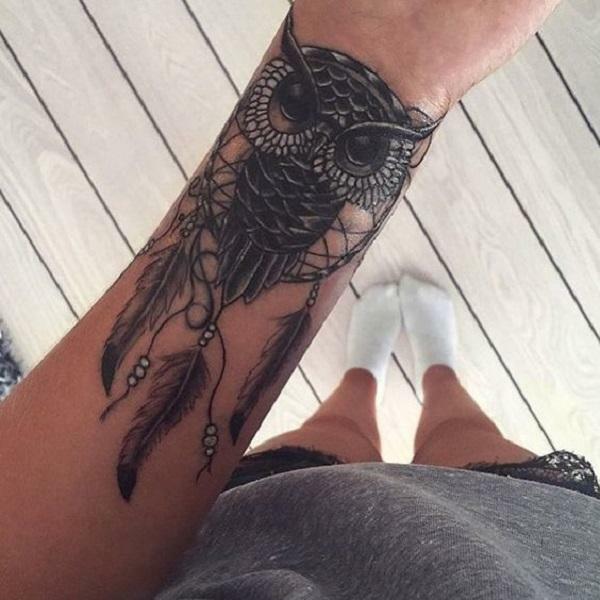 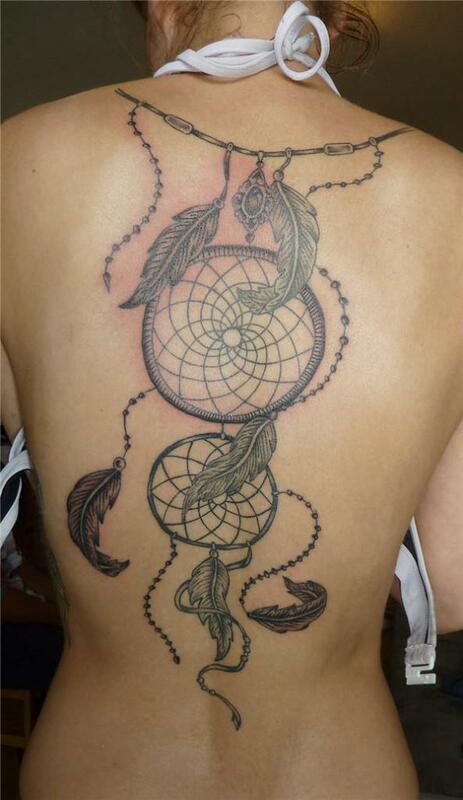 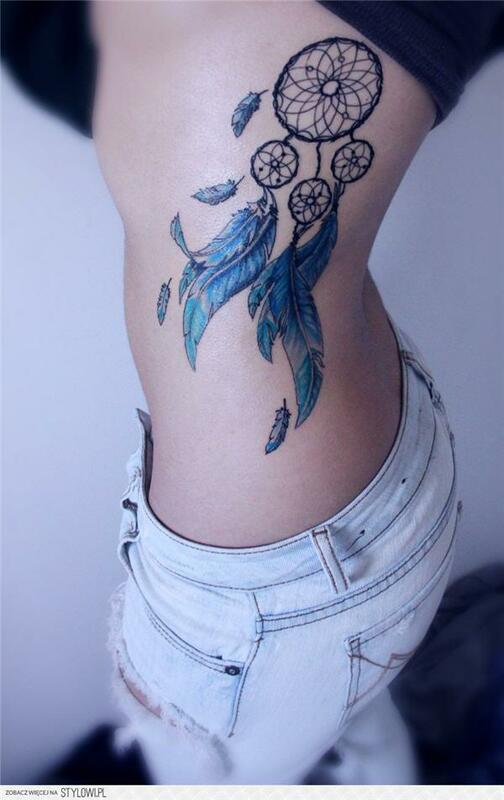 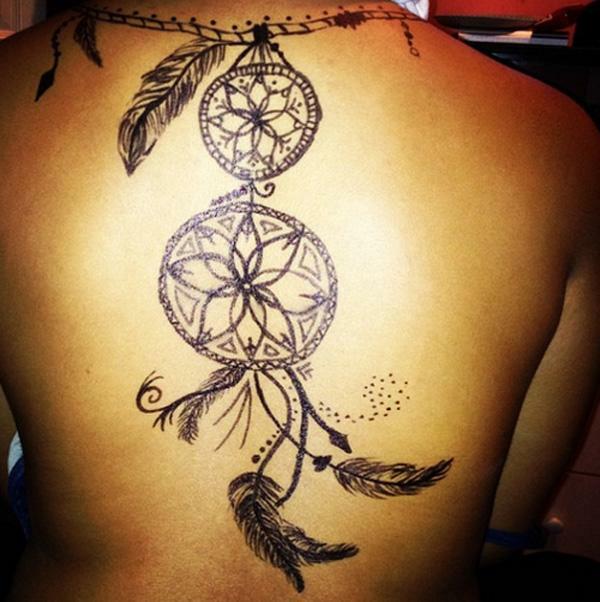 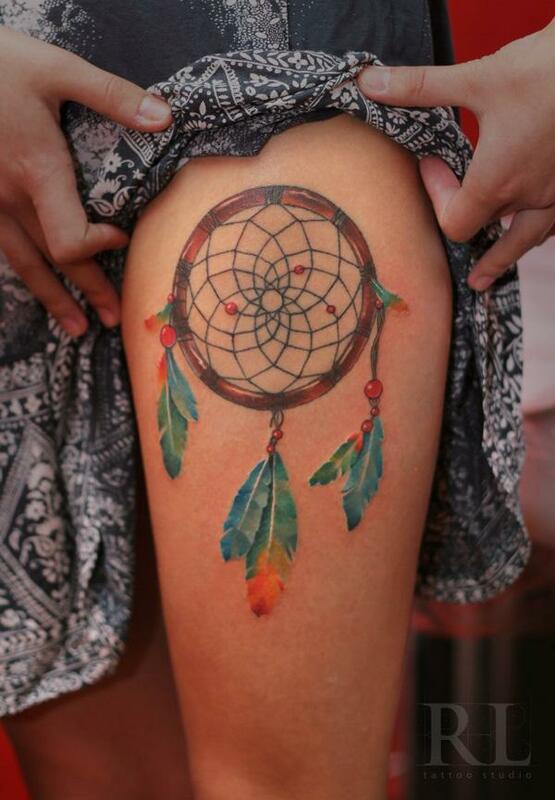 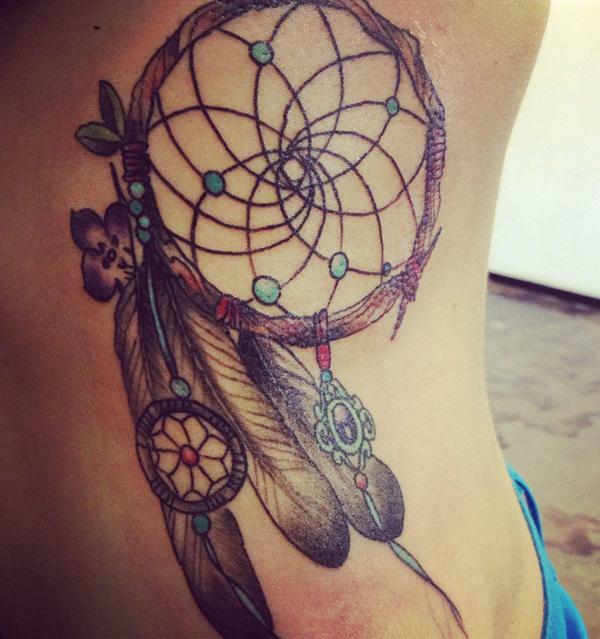 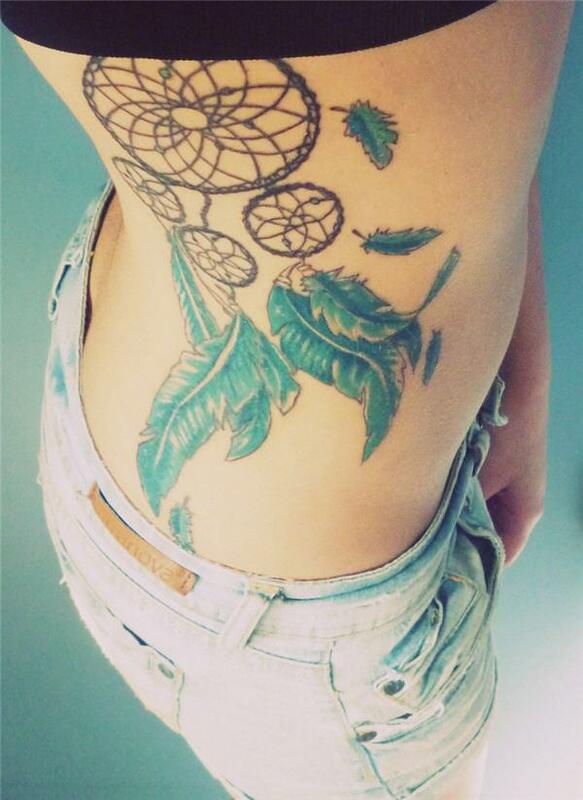 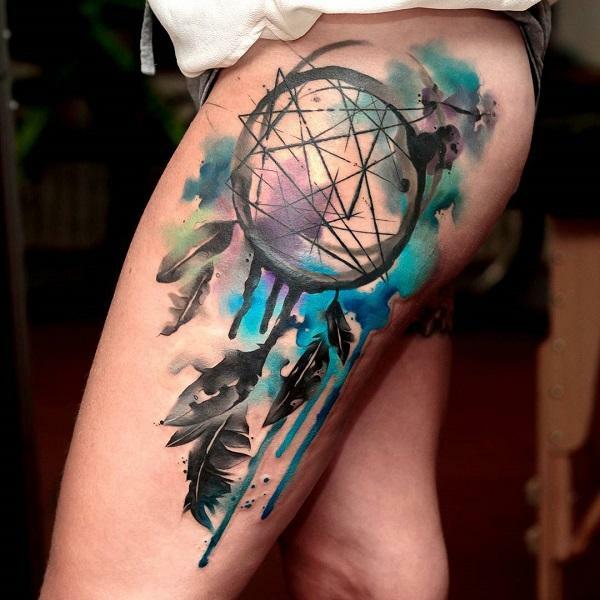 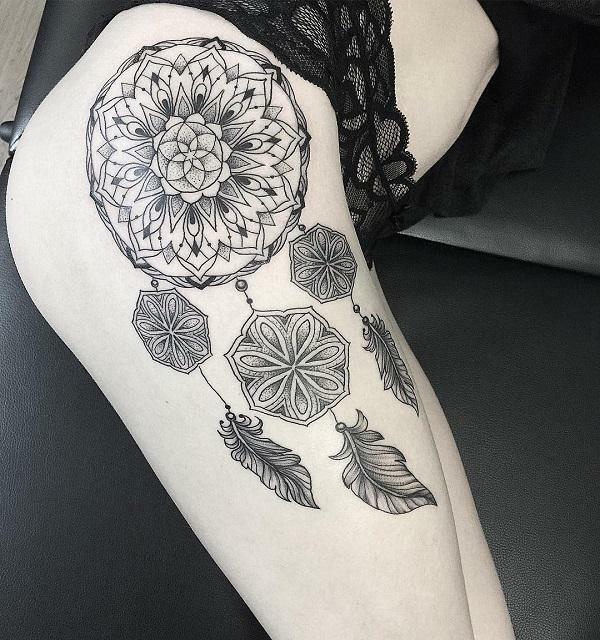 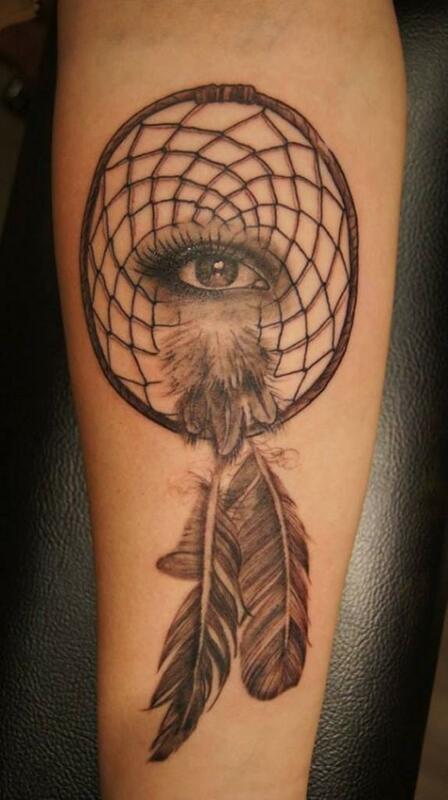 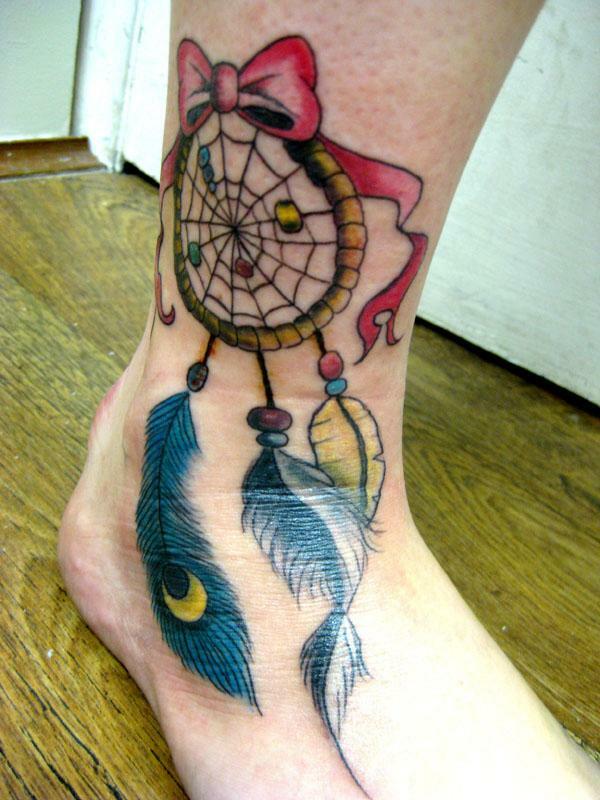 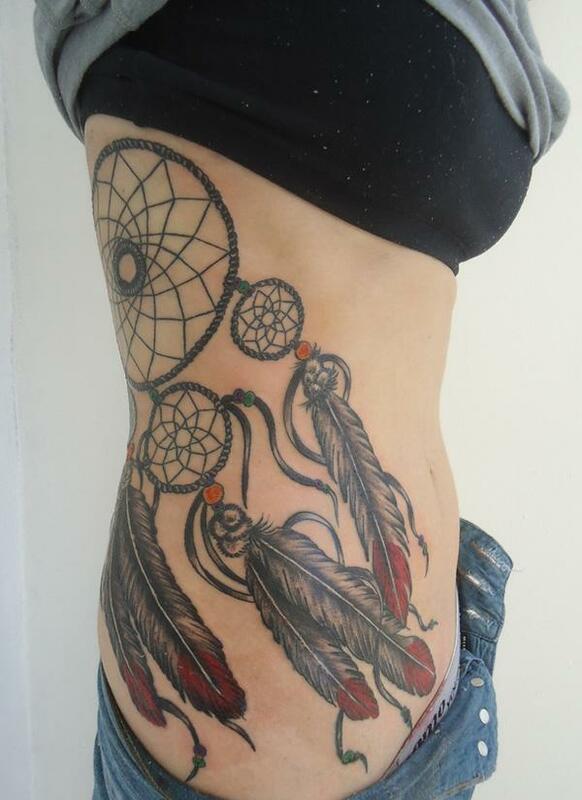 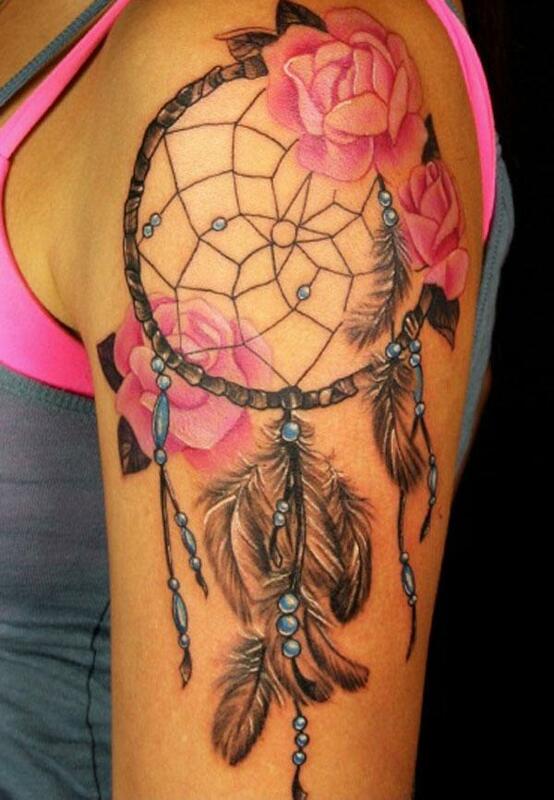 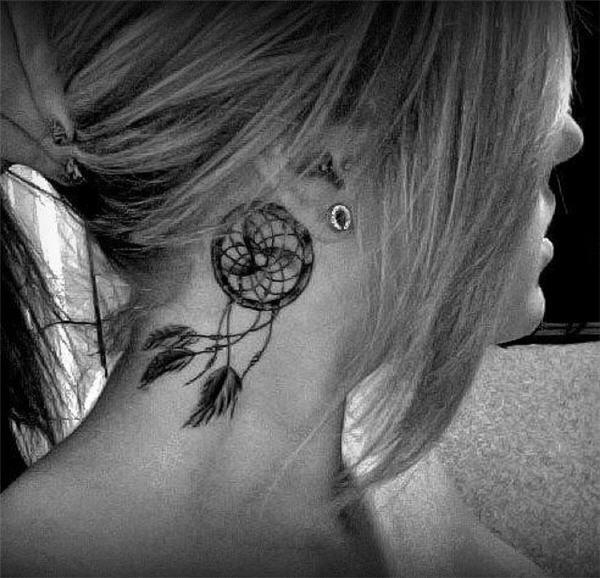 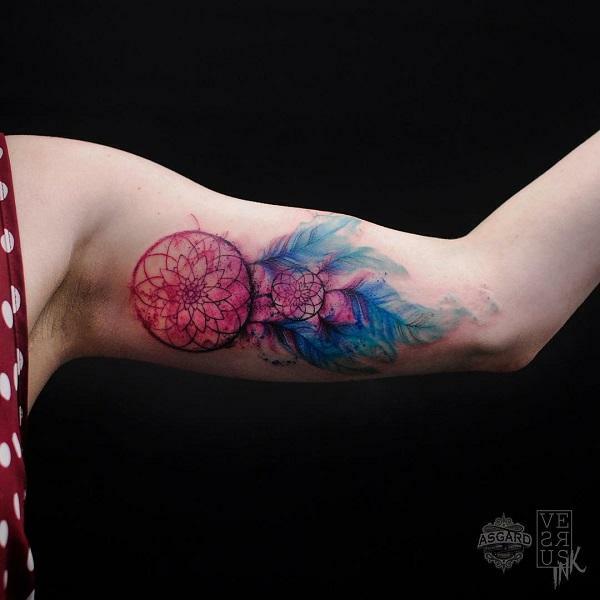 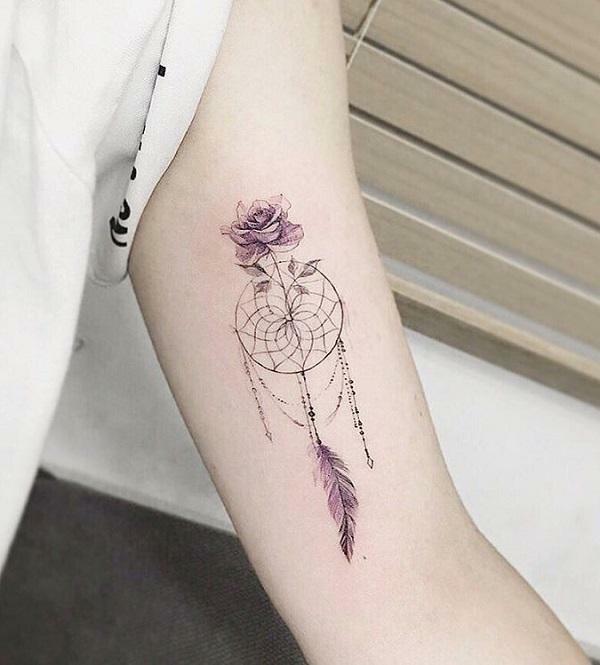 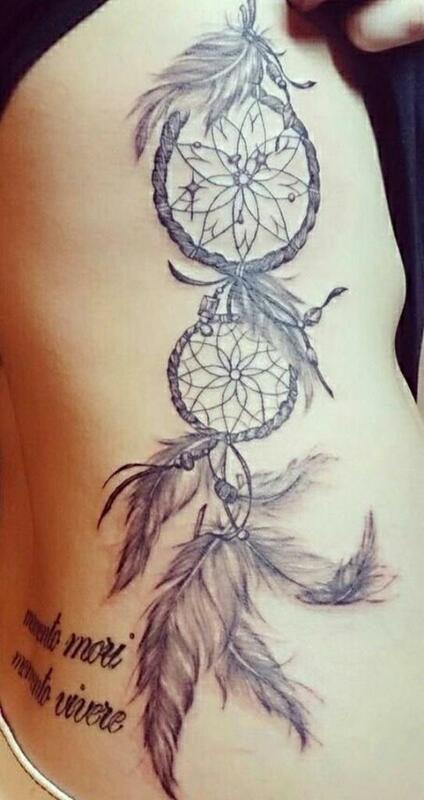 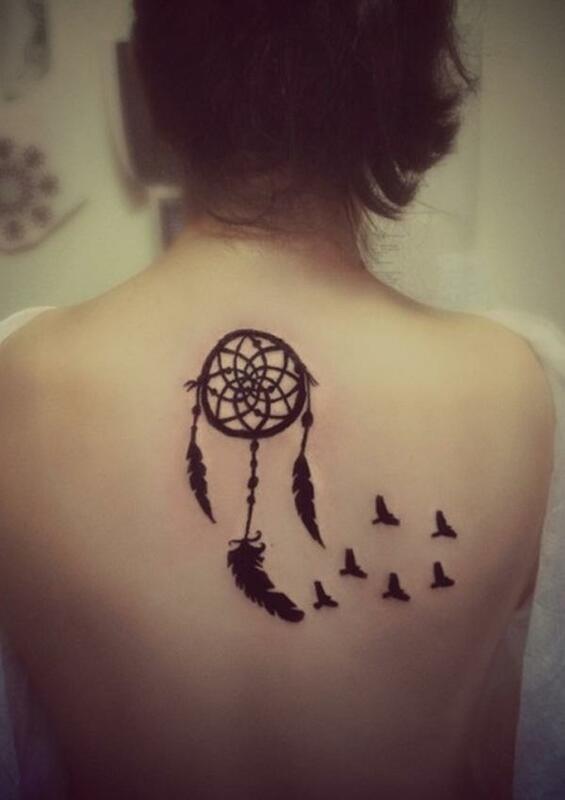 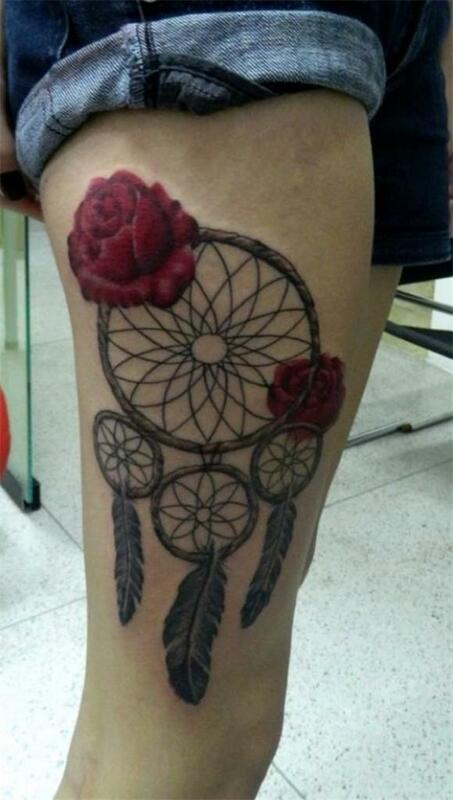 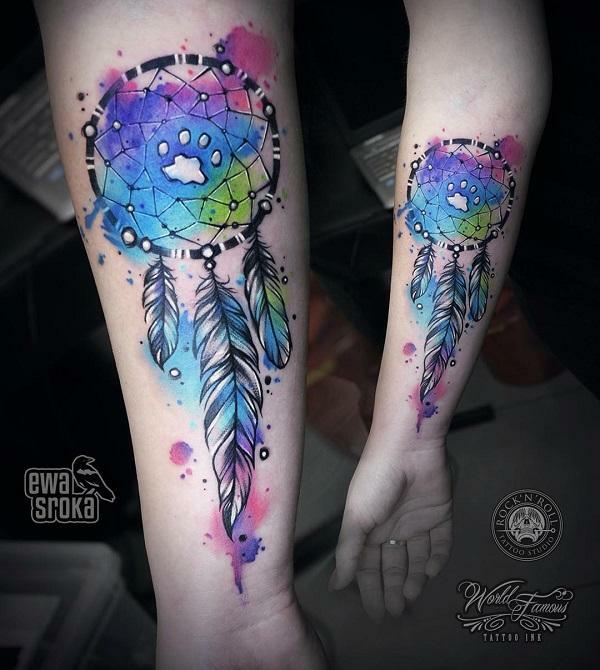 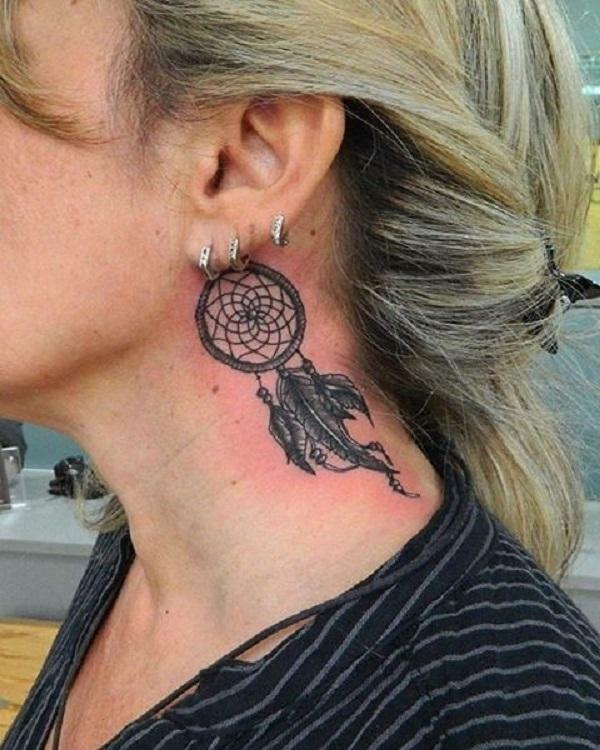 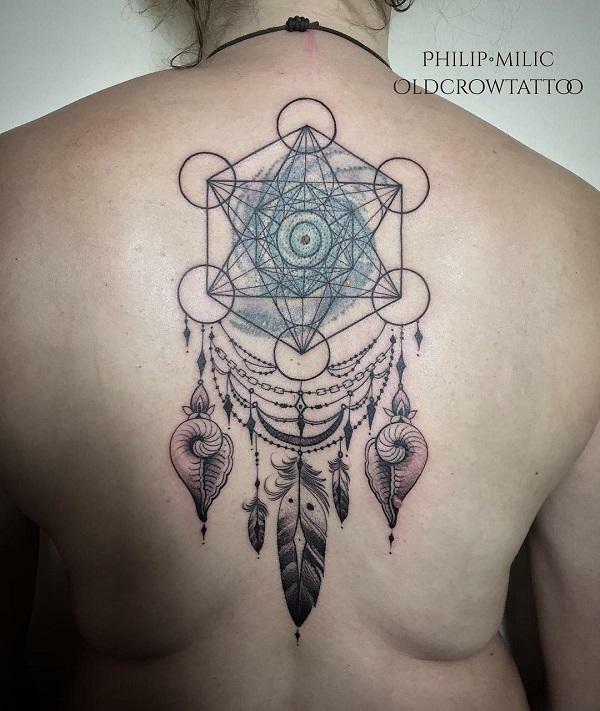 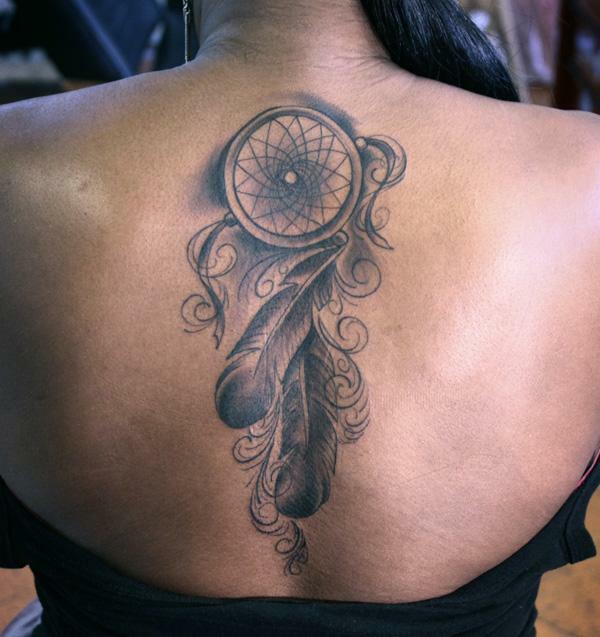 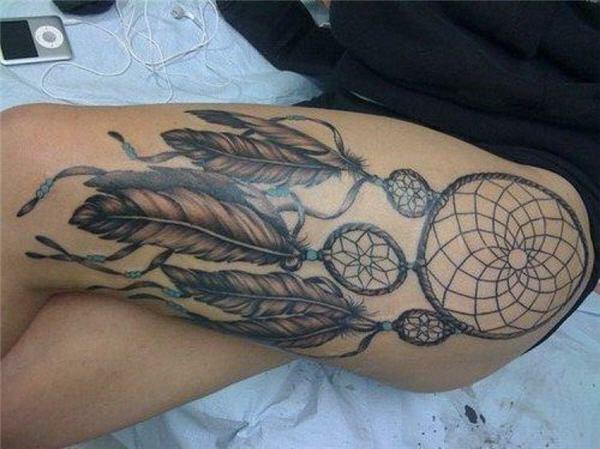 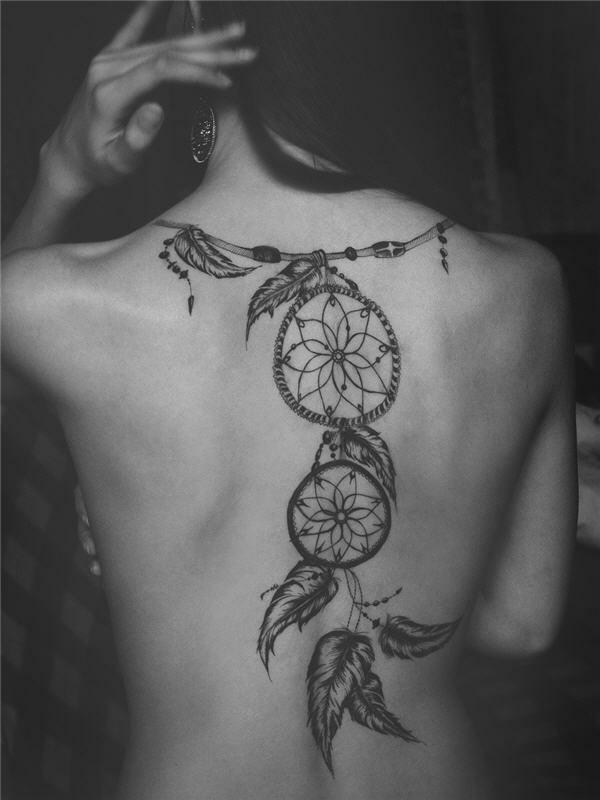 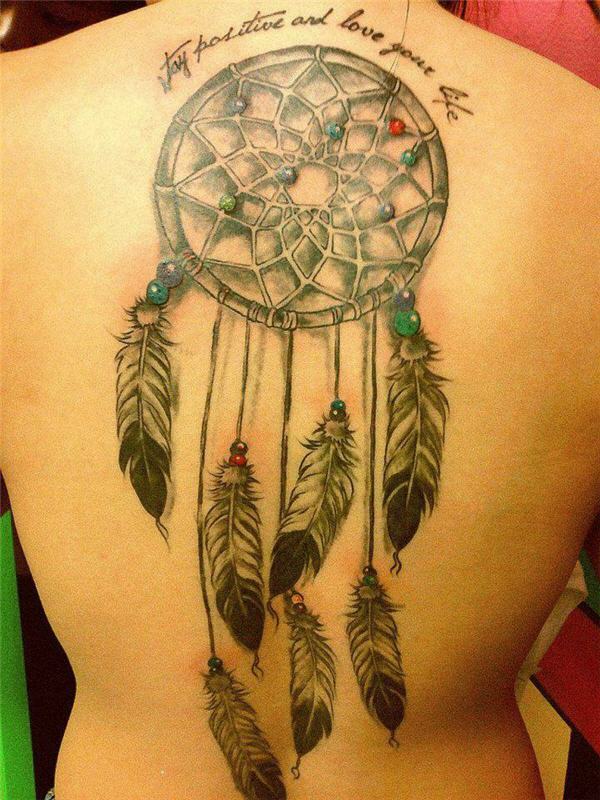 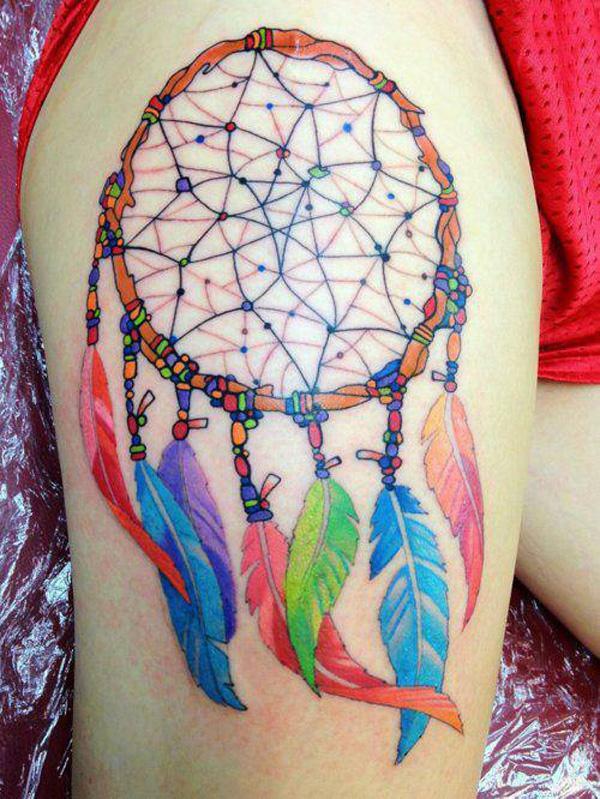 In this post please enjoy the collection of 50 beautiful dreamcatcher tattoo designs. 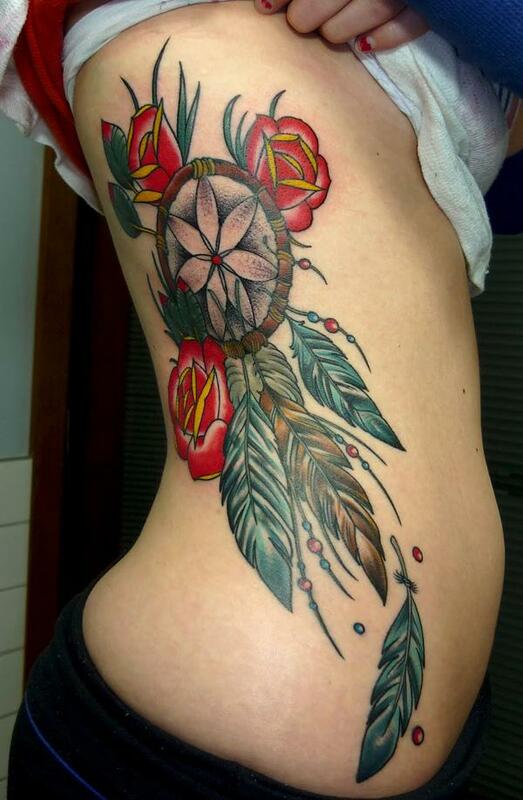 Hope you will find out inspirations for Tattoo Designs for Women.